Back in 2003, at the National Institute of Technology, Mumbai, I was frantically hunting for textiles for my graduation collection. 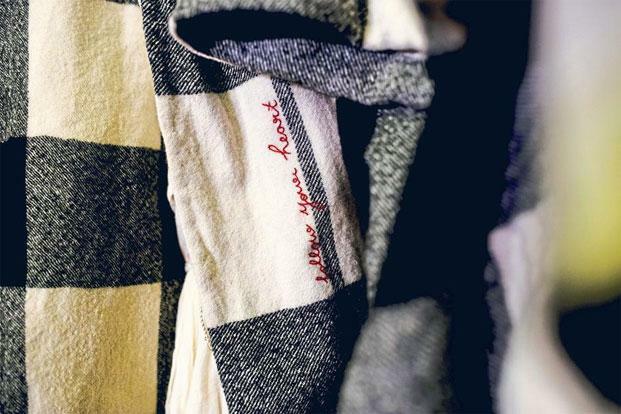 The only options were a few fabric shops in Bandra selling all sorts of synthetic fabrics, from slippery cutwork laces to heat-set pleated polyester or neon rexene, or some shops at Dadar’s Hindmata selling readily available checks, stripes and prints in thick cotton. I used to come back empty-handed to my pattern-making classroom. It was then that I realized that what I was looking for was not available in stores; I was looking for fabrics that I had studied about in the Traditional Textiles of India course. I would eventually settle for some pure raw silks but kept feeling the need to make the textiles that I had imagined. I also realized that to make clothing, I would need to understand the medium better, so I applied for a textile design course at the National Institute of Design (NID), Ahmedabad. 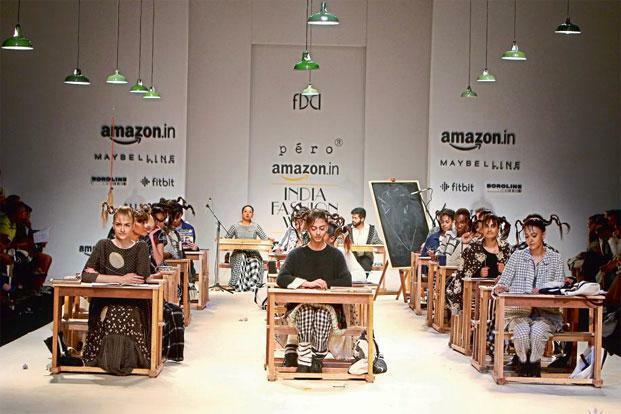 Studying textile design at NID changed how I looked at fashion. The Calico Museum Of Textiles was a stone’s throw away and I could take a bus to Bhuj anytime to be in the midst of the most exquisite textiles—printed, dyed, woven or exquisitely embroidered. During my course, I was introduced to Vepar, a leading exports company run by the Sarabhais, stores like Jurgen Lehl from Japan, textile designers like Bess Nielson of Khadi and Co. and Yoshiko Iwamoto Wada, who were all making minimalist clothing with an emphasis on handmade textiles. I felt inclined towards that school of fashion and started researching fashion labels using traditional textiles. While many worked with embroideries, only a very few explored handwoven textiles. The reason I decided to intern with Abraham & Thakore was because I was really inspired by the way they developed their own fabrics. I completed my education at NID feeling like an artist who could now weave her own canvas before painting her fantasies on to it. Thus started the péro journey, looking for woven textiles through the different regions of the country. Every kind of textile already existed in the Indian handloom repertoire; the challenge was to do justice to them and make clothing that people liked. I was so overwhelmed that I started with the most basic mul with a red selvedge. But it was not easy. On the one hand, we had fashion where everything was about fast-changing trends and on the other hand were weavers who had a laid-back but organized lifestyle with no clue about fashion cycles, seasons, deliveries and deadlines. They were sceptical about working with designers as they were unsure about how consistently they would get work. However, that was tackled within hours over numerous cups of teas. Once they were convinced, I had two options: to work directly with weavers or through a middleman. The former proved to be a disaster—the weavers were not educated enough and would not miss a chance to save money, even at the cost of making poor-quality fabrics that would bleed colour. Expecting them to understand consistency, delivery deadlines and innovation was too remote an idea. Having burnt my fingers, I thought it sensible to go through a middleman, who might charge extra, but would assure quality and timely deliveries. Since I had worked directly with weavers, I knew exactly what their wages were, which helped me negotiate with middlemen, while making sure that they got their share. The other problem I faced was that even after giving very specific designs, layouts and colours for my fabrics, I saw the same—and not just similar—textiles from other labels two seasons later. This happens often because designers who work with weavers order whatever the weaver is currently weaving. The weaver is happy to oblige because he gets good money for it. There have been instances where weavers have sold my fabric to another person while telling the middleman that the whole warp got spoilt. It is almost like copying. Even as I was learning to work with weavers to get the right quality and timely deliveries, there loomed the challenge of educating clients about Indian handlooms. When it came to orders, we had to make sure that all the pieces were of the same style. However much my clients appreciated the péro sensibility, they still expected perfection in the garments they ordered. We began by adding a tag on our garment that said “irregularities are a characteristic of this handmade textile and are not defects”. While this took care of slubs in handspun yarn and differences due to different weavers working on them, there was still a lot of variation to deal with. Creating common lots of fabrics, educating the in-house team to achieve perfection within handmade imperfections, cutting the fabric received piece by piece and order by order kept adding to the time and costs of each garment. Over time, I have been able to explain to weavers that passing imperfections as handmade is not good enough; we have to make it as good as possible for people to keep appreciating and buying it. Today, when I tell them that we are in 300 shops across 30 countries, they are motivated to perform better and are ready to implement changes. The shops we are constantly working with have also gradually begun to understand the kind of imperfections they should expect in handloom clothing. Since I have been developing new motifs and new colours, and using Jamdani season after season, even people at the Tranoï garment fair in Paris now recognize the fabric as Jamdani—the beautiful light cotton from India. Last year, when I showed this same bunch of weavers a photograph of their Jamdani dress displayed at the Victoria & Albert Museum’s exhibition, The Fabric Of India, they were delighted. When people ask me whether it is easy to work with handloom, my first instinct is to say “no”, but then I feel that if one can tackle it smartly, it is great to make it available to people worldwide. 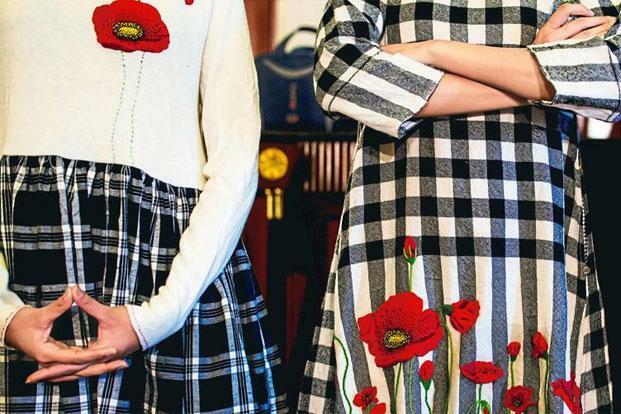 A few years ago, something changed in Indian fashion—younger designers stopped aping the West and began using traditional textiles in their work. It has been a glorious moment for our fashion industry to have bridged the gap between global fashion and local craft. 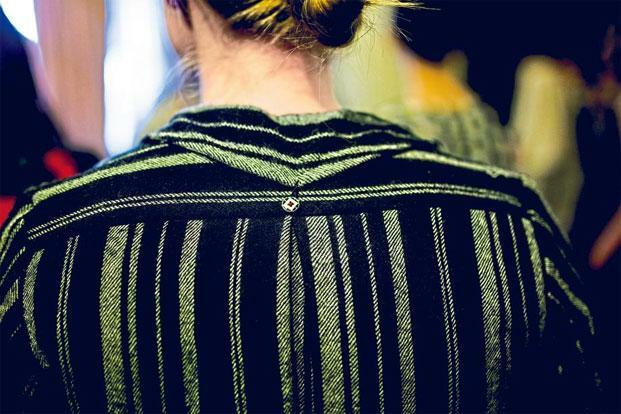 But the younger generation of designers might be living in an illusory world if they believe that they are generating livelihoods for weavers. We may all need to rethink. Could we have achieved and expressed what we do today without the skill, knowledge and experience of weavers? When interviewed abroad, successful Indian designers portray how poor our weavers are, but the fact is that designers are only revisiting handlooms with a fresh perspective, and thanks to a shrinking world, are able to make them available globally.